Mumbai, 18 February 2017: ‘TV Ke Uss Paar’, the comic parody that airs on Zindagi every Monday to Saturday at 6:00 PM has witnessed many interesting twists and turns recently. 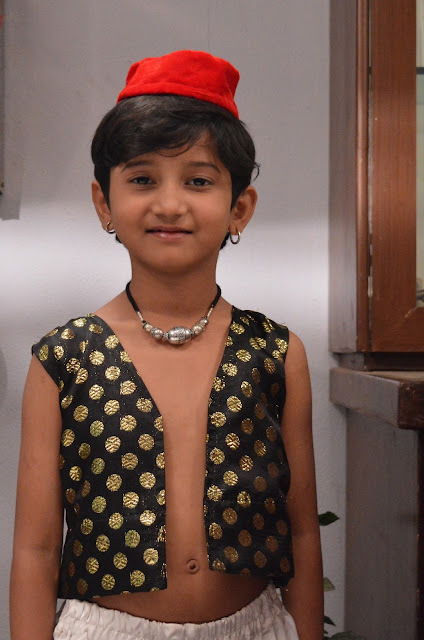 To double the fun quotient, the show will soon introduce Piddi, a cute six-year-old genie to add some tadka in Madhu’s already eventful life. The genie was set free from a lamp when Madhu rubs the lamp. Piddi is fond of sweets and likes to play just like any regular kid. Though he is very mischievous, he is very fond of Madhu. Child artiste Arman Khan, will be portraying the role of the genie, he has previously acted in shows like Savdhaan India & Crime Patrol. In the ongoing track, Madhu and Vivek are trying to deal with Ananya, the Icchadhari Nagin’s obsession to marry Vivek, in the midst of this predicament Piddi enters in Madhu’s life. The genie won’t be visible to anyone in the real world except for Madhu. Piddi has a lisp and pronounces ‘R’ as ‘L’, thus he cannot recite his mantras properly and his magic tricks misfire which lands him in trouble all the time. He also has an evil aunt called Jadugarni Chachi who wants to use his magic for her own benefits. Piddi is petrified of her and doesn’t want to go with her. Eventually Madhu takes him under her wing and teaches him to recite his mantras properly in her own way. ‘TV Ke Uss Paar’ is a parody that gives a reality check on how today’s society is obsessed with its over-dramatic daily soaps. The show promises tongue-in-cheek humour with its relatable content. Aakash plays Vivek who returns to Mumbai after a two-year stint in Bangalore. He realizes that his mother, is a different person now, totally absorbed & obsessed with television soaps which is influencing her mannerisms as well. The line between the real and reel world begins to blur for his mother as she gets an entry into the TV world. Catch Piddi in ‘TV Ke Uss Paar’ every Monday to Saturday at 6:00 PM only on Zindagi!